Halloween has always been one of my favorite holidays. I love buying creepy signs, silly scarecrows and spooky plastic body parts and bones to spread across my lawn. I also enjoy coming up with fun costumes for my kids, my husband and myself. I also enjoy trick-or-treating, and I always have. When I was a kid, there was nothing better than using every minute of available daylight to go door to door, essentially begging for candy. I dressed like Raggedy Ann one year and went out with my brother Jude and his first girlfriend, Cindy. Other years I went with the standby costumes of witch, gypsy and/or bum. Now that was fun! Here’s a taste of licorice goodness that always made me smile. I liked to get it at the movies and sometimes enjoyed it even more than the movie I was seeing. For instance, any of The Planet of The Apes movies would have been a lot less enjoyable without Good-n-Plenty. Sometimes, I liked to mix things up by getting Good-n-Fruity. I lived on the edge! I heard once that candy cigarettes were banned because scientists believed that children who loved them were likely to grow up and develop a smoking addiction. That’s funny, because I was a two-pack-a-day candy cigarette smoker but I never grew to love their horrible smelling, cancer-causing cousins. 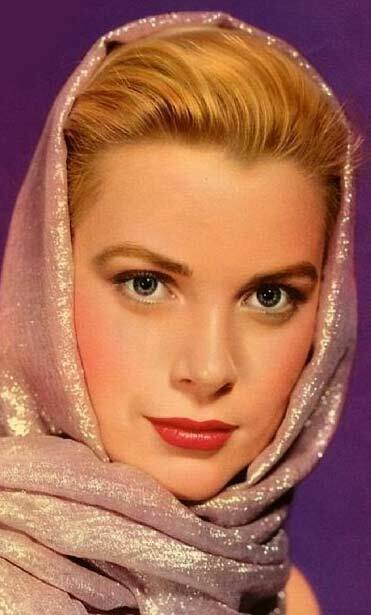 I enjoyed acting like Grace Kelly in To Catch a Thief, with a scarf tied around my head, black sunglasses perched on my nose, while puffing on my candy cigarette. I would clutch the wheel of my parents’ green station wagon and make believe I was zooming around the French countryside since the wagon was the closest thing I could get to a convertible. Sometimes, Goldie or Henry would be my passengers, and if they were agreeable that day, they’d be wearing headscarves too. 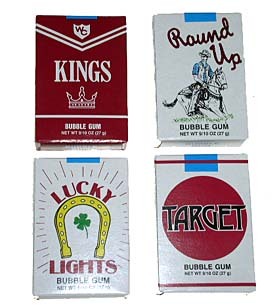 You had to buy the right candy cigarettes though—the ones that puffed “smoke”—because otherwise you just got the plain bubble gum ones that were smokeless, and what fun was that? Okay, so I was a sucker for these caramel suckers. Each one lasted a good long time, and they came in a box, so I could slip it into my Catholic school uniform’s bolero pocket and dream of something (really anything) other than my science class. 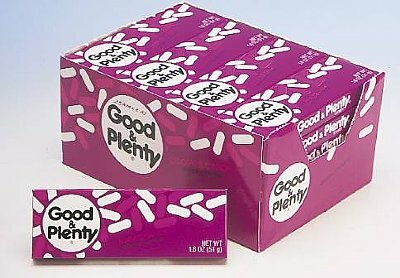 I almost got into big trouble once when Mrs. Verdi realized I had something in my pocket (and in my mouth) and she made me hand the box over. Lucky for me, she jumped up and down in delight because she just LOVED SUGAR BABIES! I used to buy an extra box for her because she started eating all my candy. Eventually, we moved on to Reese’s Peanut Butter Cups and Reese’s Pieces, just to keep things interesting. For a teacher gift at the end of the year, I gave Mrs. Verdi a giant Hershey’s Kiss. That woman loved candy almost as much as me! 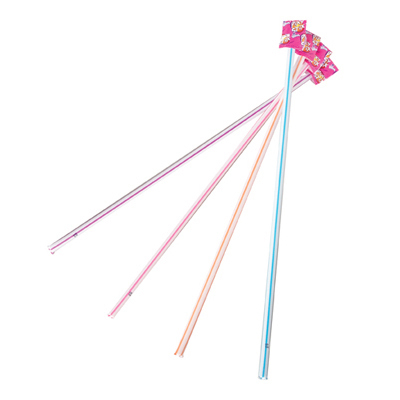 These are not your kids’ pixie sticks. These babies were BIG, BIG, BIG, and filled with over two feet of sugar. Chris and I would pay our 25 cents at the local candy store, have a rousing “sword fight” on the way home, and then slice one end of the tube open and drain it of its sugary contents. It was great! And of course it explains why we were both nearly responsible for driving our mother to an early nervous breakdown as we bounced off every available wall. Okay, so these two choices weren’t really so much about the candy as they were about the laughs. 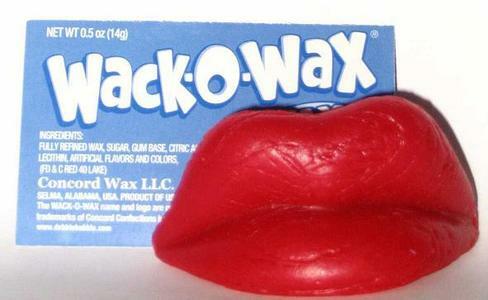 The cherry bubble gum from the waxed lips tasted weird, since after all, you were eating the equivalent of chewy car wax. But everyone would laugh when you wore them and you sounded like an idiot when you tried to talk with them on, so it was double the fun. 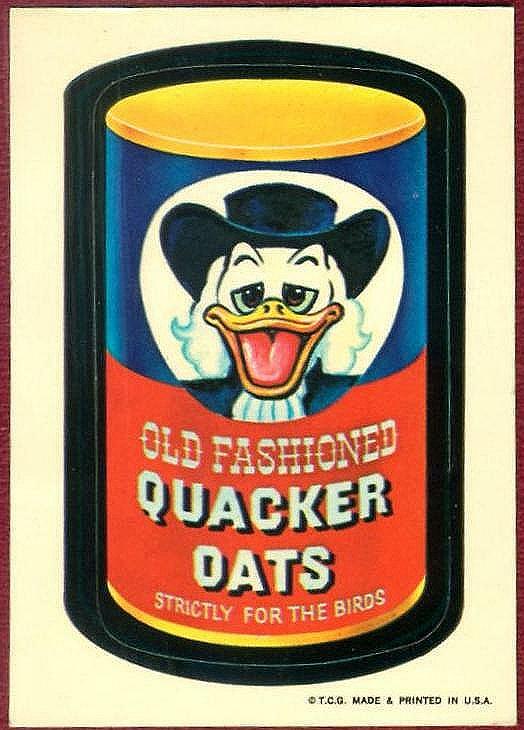 Wacky Packs brought great joy to my little life for the better part of the 1970s. Chris and I would take the stickers from the packs and put them on our headboard, then chomp on the cardboard like gum and howl with laughter over the ads. There was Mountain Goo soda, Blisterine mouthwash, Stove Glop stuffing and more. It was right up there with Mad Magazine for sheer entertainment value. This was doubly troubling to me, since I was swigging down a coke and eating strawberry pop rocks simultaneously while listening to this newsflash. I immediately put the coke aside, but I couldn’t part with my Pop Rocks. 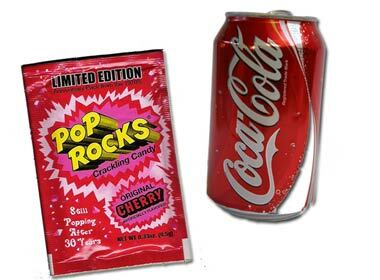 From that day forward, whenever I wanted to live on the wild side, I would try my Pop Rocks with a Coca Cola chaser. What a rush! “How many licks does it take to get to the tootsie pop center of a Tootsie pop?” the curious young child asks the wise old turtle. “Ask the owl,” the turtle tells him. So the kid tracks down the owl and asks the same thing. “Let’s see,” the owl replies, and begins to lick the lollipop. And then, after three licks, the owl bites into the candy and scarfs down the whole thing. This would have led me into a homicidal rage that would have resulted in feathers everywhere and a lollipop stick wedged in that bird’s head. Thankfully, it was just a commercial, but whenever my brother Paul asked me for a lick of my lollipop, I thought of that bird…and declined. 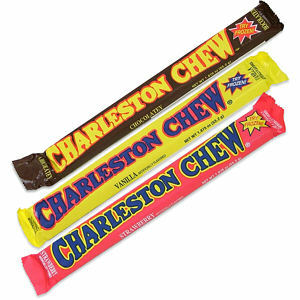 There was almost nothing better than running down to the corner candy store, on 48th Ave. and Bell Blvd., and bringing home a Charleston Chew. I learned the art of delayed gratification after Tony and Joey taught me how to put it in the freezer and enjoy it frozen. Of course, I didn’t always do this, because once my brothers taught me how to do it, the candy bars had a habit of mysteriously disappearing before I could get to them. When my kids, husband and I visited a retro candy store and we introduced them to Charleston Chews, we had to explain the whole “frozen candy” concept to them. They weren’t as receptive to the idea of delayed gratification as I was many years ago. That was probably because they knew that my husband and I would eat the candy bars before they could get to them later. 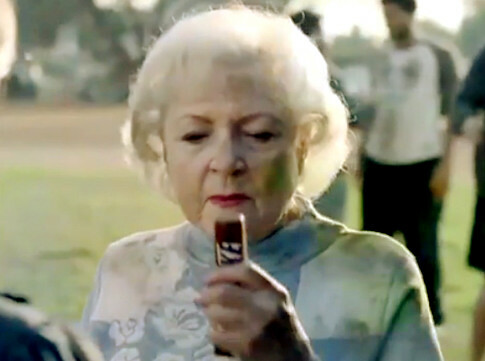 Long before Betty White appeared in that Super Bowl Ad, I was already a believer in the slogan “Snickers Really Satisfies.” I like to fool myself sometimes that the nuts in the candy bar make it a protein source that I would be foolish to deny myself. This also applies to Milky Ways and Three Musketeer Bars, which by the way have no peanuts in them. Also $100,000 Bars. Whose idea was it to change the name to 100 Grand Bars? And why didn’t anyone ask me first? “Sometimes you feel like a nut, sometimes you don’t.” Personally, I always feel like a nut, so I can’t imagine why anyone would choose Mounds over Almond Joy. Although, in the interest of heart health, I have been known to eat a few dozen Mounds every now and then (they’re made of dark chocolate! So now I will probably live forever). 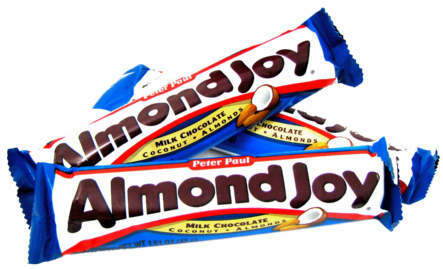 If a candy bar can transfer feelings, then Almond Joy lives up to its name. This year, I took my girls and a big group of their friends trick-or-treating. We utilized every minute of possible sunlight and ran through our neighborhood, banging on doors and basically begging for candy. The best part of all? The girls let me have their Almond Joys. 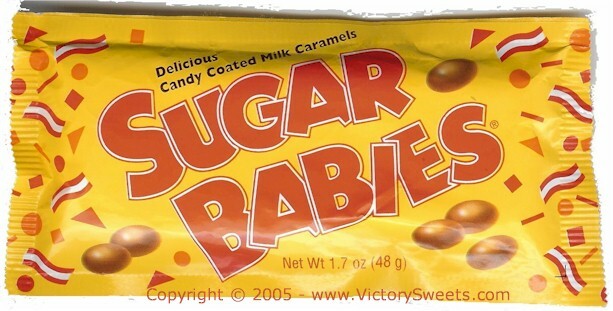 So, hungry lifers…what’s your favorite candy? Post a comment and let us know all about it. Kit Kats are the best! I can’t believe I forgot Kit Kats! Pop Rocks !!! I still love them.! Hmmm. My candy tastes have become more sophisticated with age. I love dark chocolate (think Jacques Torres) If I would venture back into my Pop candy eating, these days I would go for something like a Snickers Dark. But, I agree with Turafish, Kit Kats are classically yummy. You forgot the one we were just talking about 100 grand. Ah, okay. I stand corrected 100 grand got a mention…What about Fun Dip? I know, you can’t mention every candy. Sienna got Fun Dip in her Halloween bag and I re-distributed that to our Trick or Treaters. One thing I’ve learned from my parents because they didn’t do it, is to limit my daughter’s candy intake. I remember putting Milky Way in the freezer (did we have freezers back then?) or maybe just the Ice Box (refrigerators for the uninformed) and they would come out hard as anything. I always felt I would break a tooth when I’d bite down on it. Hershey’s Chocolate Bar with Almonds were always yummy. The 25 cent bar in my day isn’t sold today but if it was it would cost about 2 bucks. Real young, I enjoyed for a penny, a strip of paper with candy dots on it. The box of chocolates always had the mushy ones left with thumb prints after they were tested for nuts. Very sweet blog. 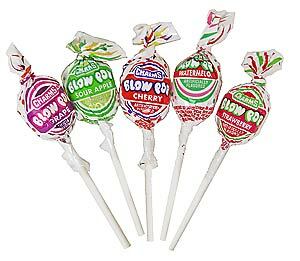 I remember going to the candy store on 48th & Bell every school day. My favorite were Spree’s. Those ‘bolero’ vests sure came in handy. I tell my kids that we had the skirt and blouse with a bolero – they look at me like I have two heads!! Okay, I TOTALLY knew what you meant when you said we should freeze them. But we didn’t have a freezer, and yeah, dad DID try to eat my charleston chew at least eighty times during that thirty minute car trip… Also, the part when the owl ate the lollipop and you went into a homicidal rage?! Heehee. I think you can imagine what i’d do. Kill the bird and blame it on my lil sis. Keep Writing on, Mom! Oh my gosh, I totally forgot about Wacky Packs! Those were my absolute favorites! All the memories just sugar rushed in when I read this blog entry. So, what’s your next entry?? As Maddie said, Keep Writing, Mom! I remember those Reeses Pieces in the fold of our St. Roberts vests/boleros. Fuzzy, sweaty…who cares. You wielded so much power with those! Meanwhile, Back at the Funny Farm….